Engage Online Marketing is a Marketing Agency specialising in the Aesthetic and Beauty Industries. Specifically, we work with Plastic/ Cosmetic Surgeries, Tattoo Removal Clinics, Skin and Cosmetic Clinics. Engage Online Marketing take care of your Clinic marketing and deliver you results you can measure and understand. Because of our specialisation, we are trusted by Syneron-Candela and Device Technologies to assist and grow their valued clients in Australia. To do this we use a combination of industry leading marketing techniques and client acquisition experience, combined with world leading marketing software called Hubspot. We talk with a lot of clinics or practices in the Aesthetic and Beauty industry in Australia. With few exceptions, the usual story is that they are working with one company for their SEO, another for their Adwords Management and another for their Social Media Marketing. None of these providers specialise in your industry or talk to each other in delivering your marketing, with no alignment to the sales process in your clinic. At best these companies are spending your advertising budget to buy clicks to your website and that is as far as you can track this spend. Our marketing programmes started in the Plastic Surgery industry, a restrictive marketing environment where sales is not sales, it is educational, informative and in no way pushy. This is an approach that is integrated into all of our marketing programmes. We inform, we educate and in no way do we push a contact into a treatment or procedure. Our goal is to get you more clients and every part of your marketing from SEO to blog articles to Facebook and Google Adwords management to content creation is designed to move people towards a goal that relates to your clinics sales process. If this goal is to get a potential client to a consultation or treatment booking, this is what we will do for you. Engage Online Marketing are a certified partner of Hubspot. Hubspot is leading inbound marketing and marketing automation software. Never heard of Hubspot? Click here to find out more about Hubspot in the Aesthetic & Beauty Industry. If you are struggling with any part of your online marketing, we can help diagnose the problem. Don’t have time to bring your marketing up to speed, we can help with that too. 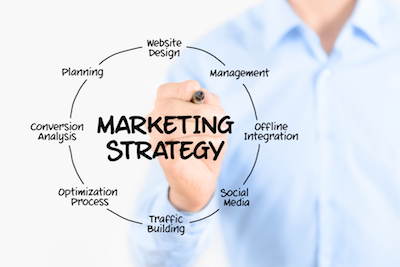 We can design and implement all of your marketing, or we can help you with areas you are concerned about.